"...this won't be the first look we have at the status of the Cowboys receivers. I'm already on record having high expectations for Michael Gallup, and believe Cedrick Wilson was one of the steals of the draft for the Cowboys in the sixth round. The unproven nature of this pass catching unit (through to TE with rookie Dalton Schultz) is going to make for fascinating training camp battles, competing for spots in an offense that could still be one of the league's best". Here we are again, with an emerging leadership voice of the Cowboys speaking about his wide receivers. Dak Prescott told Pro Football Talk that he, "doesn't know if any team in the league necessarily needs a No. 1 receiver". This is a bold statement from a third-year quarterback that's already told Cowboys Nation this offseason that he wants to be the best to ever play for the franchise. 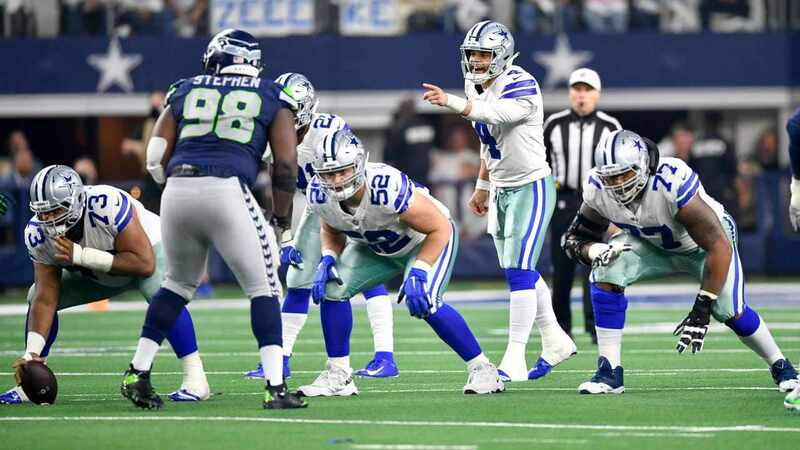 Beginning the journey towards becoming a Cowboys legend must start with Prescott securing his status as the Cowboys franchise QB in 2018 - by throwing to Williams, Michael Gallup, Cole Beasley, Cedrick Wilson, and Allen Hurns. This will be no easy task for Prescott, but the Cowboys have never wavered in their commitment to building this team around him. Left with no choice on personnel decisions like Jason Witten's retirement, the Cowboys are well-prepared to also deal with the loss of Dez Bryant. If they weren't, Bryant would still be in Dallas, and as it stands now he remains a free agent. New to the Cowboys offense is not only Gallup, Wilson, and Hurns but also Tavon Austin as a pass-catching running back. Strength in numbers must be the message for the Cowboys offense this season. 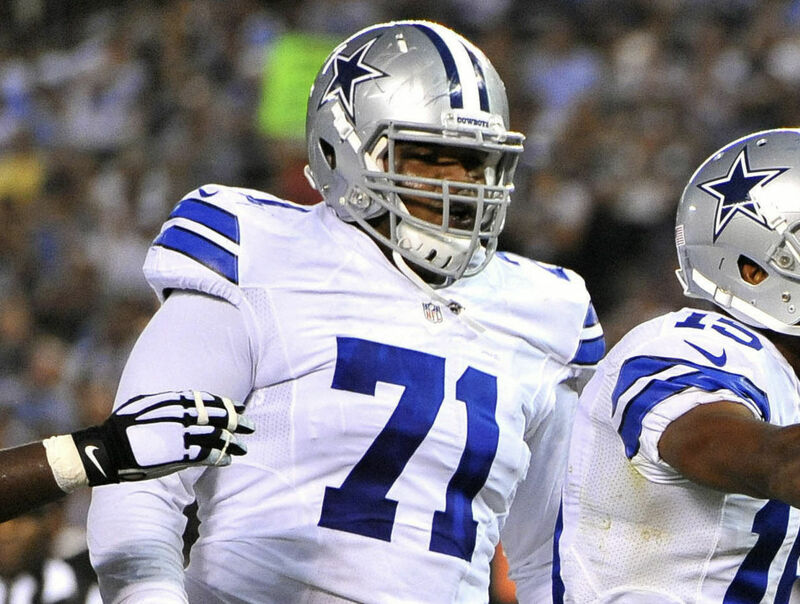 Relying heavily on Ezekiel Elliott and a punishing offensive line will be what keeps opposing defensive coordinators up at night, but so too must be the diverse nature of how the Cowboys can line up on the outside. Allowing Prescott to serve as a "point guard" like QB could lead to the Cowboys turning plenty of heads with their all-around play in 2018. Anybody writing them off simply because of unproven wide receivers lacks a complete understanding of the roster and how Scott Linehan plans to change his offense. Sure, it's possible that Linehan fails to prove himself as a play caller worthy of the talent the Cowboys possess on offense - but the talent is there. In Prescott's rookie year, Cole Beasley emerged as his go-to receiver, only to regress in 2017. 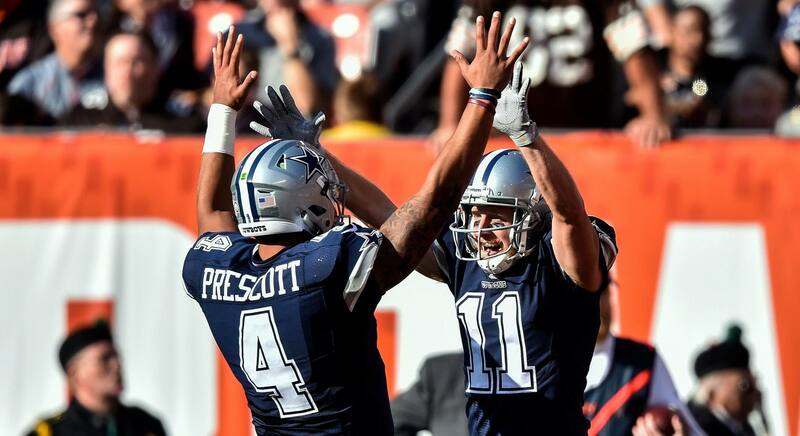 With the Cowboys shipping Ryan Switzer to Oakland during the draft, Beasley has a clear path back towards developing this chemistry with Prescott out of the slot. The same should go for Allen Hurns, despite arriving in Dallas as a free agent this year. Hurns has talked about holding himself to a high standard, despite joining the Cowboys to play with Dez Bryant initially. "I felt it was a big opportunity to come to Dallas to play with Dez. But with him not being here, it’s a bigger opportunity. It's a matter of me making the most of the opportunity"
Plenty of Cowboys receivers will have a chance to make the most of the opportunity to play in this offense. Hurns' spot as an outside starter feels safe, as he could be the big "No. 1" target Prescott needs to either find in the red zone or distribute the ball elsewhere. The amount of change the Dallas Cowboys have gone through since drafting Dak Prescott is a cruel reminder of how difficult reaching the pinnacle of sports can be. 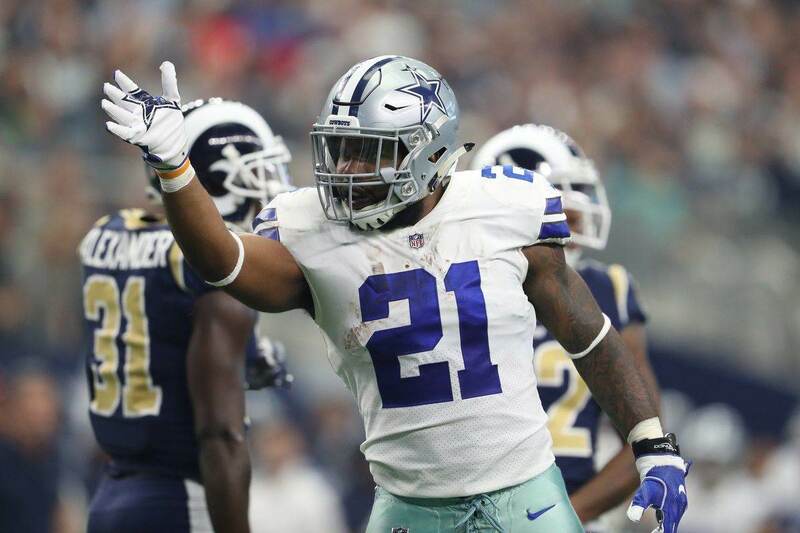 The Cowboys biggest challenge to reach the playoffs again in 2018? Silence the doubt that a declining Dez Bryant no longer being with the team will derail the efforts of this deep and eager-to-compete WRs room. Tell us what you think about "Cowboys QB Dak Prescott Embraces Lack of No. 1 Wide Receiver" in the comments below. You can also email me at Sean.Martin@InsideTheStar.com, or Tweet to me at @SeanMartinNFL! Will Throwing to New Set of Targets Be a Challenge for Dak?